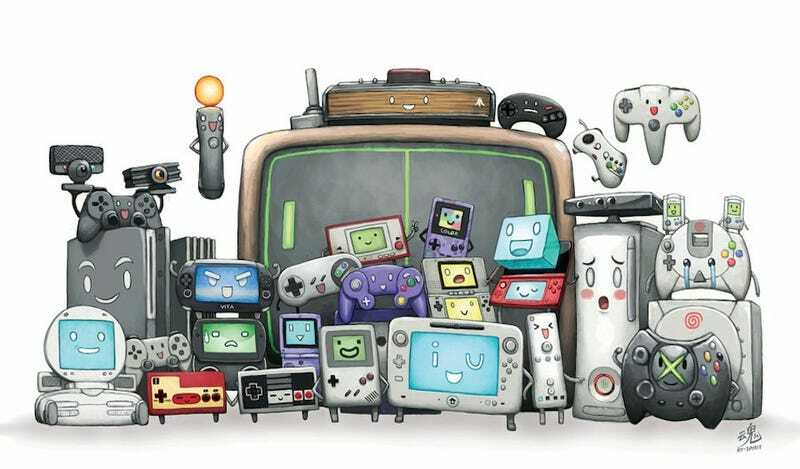 We spend a lot of time with our video game devices, so it's easy to start to think of them as family members. Sometimes they are friends, sometimes they fight. Sometimes they're happy, sometimes they're sad. Sometimes they talk to us. It's not weird! It's normal! NORMAL I SAY. This terrific illustration by DeviantARTist Ry-Spirit captures that family in all its glory. The Move controller looks might pleased with itself considering the fact that literally no one uses it for anything. For more, check out Ry-Spirit's DeviantART page.